The Emunctology Course consists of Instruction on "Theory & Practical Clinical Training". Students who wish to expand their understanding of the root causes & risk factors in the causation of disease. The Emunctolog should be able to understanding the functioning of the Human Body, its relationship with the Nervous System and all the Organs of the Body, and the impact of the Emunctory System upon the organs and in the different anatomical areas of the body. And use the right application of either Hydropathy or Neuropathy or a combination of both when indicated. The Title of Doctor of Health in Emunctology is recognized and is issued under the authority of the Governing Body of the Hospitallers Order of the Good News. Furthermore the Hospitallers Order of the Good News is in negotiations with several administration bodies of sovereign nations for its registration within their jurisprudence. This course has a 6 month module on the Oneness of God. As All Healing Comes from The Lord Who Is Christ, students must first learn the source of all Healing. This module needs to be taken and successfully passed. It is pointless to known about Healing the Body without knowing who the Creator is. It would be like a mechanic trying to repair a car without the manufacturers manual, directions and indications. Preventive Health is the field of Health Science based on Evidence Based Health (EBH) and it is practiced by all Health Care Practitioners to restore and keep their patients in health. Preventive Health focuses on the health of individuals by preventing illness and promoting health. There is no better way to treat a disease than to avoid it in the first place. As many diseases are largely preventable. Preventive health specialists are trained health care professionals who possess core competencies in research into causes of disease, and the practice of prevention in clinical health. They apply knowledge and skills gained from the Evidence Based Health. Longevity of the Physical Body, and how this can be achieved in the Clinical Application of Health Treatment Protocols. 1º. Ética: Todo el Professional de Salud tiene la responsabilidad de saber distinguir entre aquello que es correcto y lo que no lo es, así como analizar las consecuencias morales de los actos del ser humano. Son ejemplos de aspectos éticos en la práctica y la investigación médicas el consentimiento informado, la confidencialidad, el respeto de los derechos humanos y la integridad científica. 1º. Ethics: Every Health Professional has the responsibility to know how to distinguish between what is right and what is not, as well as to analyze the moral consequences of the acts of the human being. Examples of ethical aspects in medical practice and research include informed consent, confidentiality, respect for human rights and scientific integrity. 2º. Juramento Hipocrático: Es el código ético de todo Professional de Salud con respecto a sus actitudes, comportamiento y obligaciones hacia sus pacientes, compañeros y sociedad. 2º. Hippocratic Oath: It is the ethical code of all Health Professional with respect to their attitudes, behaviour and obligations towards their patients, partners and society. 3º. Profesionalismo: Es el código de comportamiento que debe tener todo el Professional de Salud de su relación con pacientes, compañeros y sociedad. Velar por el mantenimiento de estándares altos de excelencia en la práctica profesional y en la producción y transmisión de los conocimientos en competencia médica. El profesional de salud debe poseer cualidades psicosociales y humanitarias como: solicitud, empatía, humildad, compasión, responsabilidad social y de sensibilidad frente a la cultura y las creencias de las personas. 3º. Professionalism: It is the code of behavior that all the Health Professional must have of their relationship with patients, partners and society. Ensure the maintenance of high standards of excellence in professional practice and in the production and transmission of knowledge in medical competence. The health professional must have psychosocial and humanitarian qualities such as: solicitude, empathy, humility, compassion, social responsibility and sensitivity to the culture and beliefs of people. 4º. Valores éticos: Los valores constituyen un determinante importante de la salud del individuo y de la comunidad. 4th Ethical values: Values are an important determinant of the health of the individual and the community. 5º. Equidad: La equidad en el ámbito sanitario implica el ideal de que todas las personas deben tener la oportunidad de alcanzar su nivel máximo de salud. Nadie debe tener obstáculos para conseguir este objetivo. 5th Equity: Equity in the health field implies the ideal that all people should have the opportunity to reach their maximum level of health. No one should have obstacles to achieve this goal. 6º. Calidad de vida: El Professional de Salud debe velar por la capacidad de sus pacientes recibir la mejor ayuda y atención medica que les permita volver a gozar de buena salud física y mental sin enfermedad, Incapacidad o impedimento. 6th. Quality of life: The Health Professional must ensure the ability of their patients to receive the best help and medical attention that allows them to enjoy good physical and mental health without illness, disability or disability. 7º. Estilo de vida: Una modificación del estilo de vida puede incluir actividades como el cambio en el tipo de nutrición y participación en programas regulares de ejercicio y actividades físicas y al aire libre. 7th Lifestyle: A lifestyle modification may include activities such as changing the type of nutrition and participation in regular exercise programs and physical and outdoor activities. 8º. Comunicación: En el contexto de la educación de salud, su función principal es el establecimiento de una relación entre el paciente y el practicante de salud. La buena comunicación efectiva haz con que pacientes mejoren más rápidamente, superan mejor el dolor, requieren menos medicación y experimentan otros numerosos efectos beneficiosos en su salud. 8th Communication: In the context of health education, its main function is the establishment of a relationship between the patient and the health practitioner. Good effective communication helps patients improve more quickly, outgrow pain, require less medication and experience numerous other beneficial effects on their health. The Course, which is divided into stages, can be completed in 4 year, if a student is able to apply approximately 10 hours a week. However, students may take more or less time to suit their personal situation. Students may enrol at any time in the year. You will find the degree programme a very rewarding course of study but you should be aware at the outset that it is also a demanding one to pursue. This amount of study time needs a significant amount of planning, discipline and commitment to be compatible with a full time employment. We will do all we can to support you throughout your time with the School but it is important to reflect that you are undertaking a major course of study that will play a central role in your life for several years and to organise your life accordingly. The School is the only Organization Authorized by the Hospitallers Order of the Good News to Teach Emunctology. All Emunctologist are trained by the Hospitallers Order of the Good News. All Rights of the Emunctology belong and are property of the Hospitallers Order of the Good News. Emunctology is the Clinical and Academic Research (study) on the Anatomy and Physiology of the Emunctory System (elimination systems of the body), its effect in the cause of Pathology, mechanisms of development (pathogenesis), structural alterations of cells (morphologic changes), and the consequences of changes (clinical manifestations) in Health. The Clinical Practice of Emunctology is by Protocol. In very few cases are there whereby only one therapeutic method is used or applied. Are normally treated by one therapeutic method. For the treatment of al chronic conditions it is imperative the application of a Treatment Protocol. Treatment Protocols are taught by the School, following the precise instructions established by the Hospitallers Order of the Good News on such treatments. “Any system of healing which does not embrace the entire nervous system in its application, restore the harmony of the entire body, is evidently, necessarily, wrong. We sin by thought, word and deed. To get back to the place from whence we started, we must retrace our steps; and this man can do, if he is not lost. If he is lost, he must be shown the way out. The Neuropath should be able to do that, so fa r as the restoration to health is concerned. The student of Neuropathy should study to know his calling — to know the conditions he has to deal with, and be able to rend er the needed aid to his patients. The careful study of the natural means, and to apply it to the relieve of human suffering, and restore harmony to those individuals in all conditions needing your assistance. Be true to yourselves, to your brother man, and to God, and all will end well, and you will be a power for good to humanity, and worthy a name while you live.” - Dr Andrew Paxton Davis, MD, DO, DC in “Neuropathy Illustrated” 1915. Neuropathy was first made part of the Hydropathic Practice by the great Hydropath Dr James Manby Gully. Dr James Manby Gully published "An exposition of the symptoms, essential nature, and treatment of Neuropathy, or nervousness". Dr. Frederick Hollick published "Neuropathy, or, The true principles of the art of healing the sick : being an explanation of the action of galvanism, electricity, and magnetism, in the cure of disease : and a comparison between their powers, and those of drugs, or medicines, of all kinds, with a view to determine their relative value and proper uses". Dr. Frederick Hollick published “The nerves and the nervous a practical treatise on the anatomy and physiology of the nervous system, with the nature and causes of all kinds of nervous diseases: showing how they may often be prevented, and how they should be treated, including also, an explanation of the new practice of neuropathy; or, the nerve cure”. Dr Andrew P. Davies, MD, DO, DC combines Osteopathic Manipulation and Chiropractic Adjustment into Neuropathy. "The word Chiropractic practice is simply hand practice of a peculiar character to relieve nerve pressure from the spinal nerves. Having taken full courses of instruction in Chiropractic science, and having six years’ experience in its application, and having evolved from the Chiropractic the Osteopathic and Ophthalmic sciences a system we name Neuropathy, we hesitate not to state that out system of practice embraces all there is known in Chiropractic science as taught by its originator, and all there is in Osteopathy, and all there is taught in Ophthalmology". - Dr Andrew P. Davies, MD, DO, DC in "Neurology Embracing Neuro-Ophthalmology, the New Science for the Successful Treatment of All Functional Human Ills" 1905 page 142. "The word Chiropractic practice is simply hand practice of a peculiar character to relieve nerve pressure from the spinal nerves. Having taken full courses of instruction in Chiropractic science, and having six years' experience in its application, and having evolved from the Chiropractic the Osteopathic and Ophthalmic sciences a system we name Neuropathy" - Dr Andrew P. Davies, MD, DO, DC in "Neuropathy, the New Science of Drugless Healing Amply Illustrated and Explained: Embracing Ophthalmology, Osteopathy, Chiropractic Science" 1909 page 149. The Emunctologist aims to have all the body emunctories functioning in their normal manner. A Emunctologist should be able to treat and improve on the greater part of physical conditions. Some conditions may only be rectified surgically, and others more advanced state can only be treated with the intervention of the Creative Force. The Clinical Practice of Emunctology consists in the useful and correct application of Hydropathy, Neuropathy, Osteopathic Manipulation and Chiropractic Adjustment. Most of the time Emunctologists work one-to-one with patients in treatment sessions lasting from a few minutes to up to an hour depending on what needs to be done. - Carrying out any Hydropathy treatments seemed necessary, which may include also include manual Osteopathic Manipulation or Chiropractic Adjustment. 3. Out of their scope of practice. Two examples are given to illustrate the methodology of the teachings of Emunctology. The view of Emunctology on the Sciatica condition can be illustrated by the commonsense approach to it's treatment. 1 - From a musculoskeletal source where pain is felt on the lumbar region and leg. 2 - From an inflammation source, where pain is felt irradiating from the hips area and leg. 3 - From both the musculoskeletal and inflammation source. Emunctology view on the main causes of the cases of Scoliosis. 1 - From a musculoskeletal origin or causation. 2 - From an inflammation source. 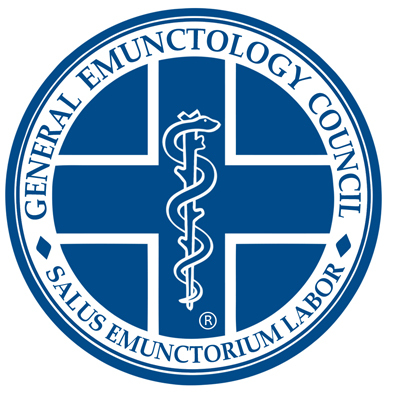 Please note: A Emunctolog should not give any details on successful treatments nor percentage of treatments. An Emunctolog doesn't make any statements of cure, Nature cures the Emunctolog treats. Warning: If you do so remember the Law is on the side of the Allopathic Poisonous Medicine. And you will be taken to court. No matter of Truthful they are or might be. Osteopathic Manipulations: are performed following the teachings of Dr Andrew Taylor Still, DO founder of Osteopathy, the School follows the principles of Dr Still but applies same following the Neuropathic method or form in the application of same. Therefore what Emunctologist do, is a specific Technique, with a specific method of Clinical Neuropathy, in the correct application of Osteopathic Manipulation. Chiropractic Adjustments: are performed following the teachings of Dr D. D. Palmer, DC founder of Chiropractic, the School follows the principles of Dr Still but applies same following the Neuropathic method or form in the application of same. Therefore what Emunctologist do, is a specific technique, with a specific method of Clinical Neuropathy. “To find health should be the object of the doctor. Anyone can find disease.” - Dr Andrew Taylor Still, DO in "Philosophy of Osteopathy", 1899. “The aim of medicine is to prevent disease and prolong life, the ideal of medicine is to eliminate the need of a physician.” - Dr William J. Mayo, MD in "National Education Association: Proceedings and Addresses", 1928. "The cause of most disease is in the poisonous drugs physicians superstitiously give in order to effect a cure." - Charles E. Page, M.D. "Medicines are of subordinate importance because of their very nature they can only work symptomatically." - Hans Kusche, M.D. "Drug medications consists in employing, as remedies for disease, those things which produce disease in well persons. Its materia medica is simply a lot of drugs or chemicals or dye-stuffs in a word poisons. All are incompatible with vital matter; all produce disease when brought in contact in any manner with the living; all are poisons." - R.T. Trail, M.D., in a two and one half hour lecture to members of congress and the medical profession, delivered at the Smithsonian Institute in Washington D.C.
"Every drug increases and complicates the patients condition." - Robert Henderson, M.D. "Drugs never cure disease. They merely hush the voice of nature's protest, and pull down the danger signals she erects along the pathway of transgression. Any poison taken into the system has to be reckoned with later on even though it palliates present symptoms. Pain may disappear, but the patient is left in a worse condition, though unconscious of it at the time." - Daniel. H. Kress, M.D. "The greatest part of all chronic disease is created by the suppression of acute disease by drug poisoning." - Henry Lindlahr, M.D. "Medicine is only palliative, for back of disease lies the cause, and this cause no drug can reach." - Wier Mitchel, M.D. "The person who takes medicine must recover twice, once from the disease and once from the medicine." - William Osler, M.D. "Medical practice has neither philosophy nor common sense to recommend it. In sickness the body is already loaded with impurities. By taking drug - medicines more impurities are added, thereby the case is further embarrassed and harder to cure." - Elmer Lee, M.D., Past Vice President, Academy of Medicine. "Why would a patient swallow a poison because he is ill, or take that which would make a well man sick." - L.F. Kebler, M.D. "What hope is there for medical science to ever become a true science when the entire structure of medical knowledge is built around the idea that there is an entity called disease which can be expelled when the right drug is found?" - Dr John H. Tilden, M.D. "The necessity of teaching mankind not to take drugs and medicines, is a duty incumbent upon all who know their uncertainty and injurious effects; and the time is not far distant when the drug system will be abandoned." - Charles Armbruster, M. D.
"The commonly prescribed drug therapies do not treat an underlying cause of disease. If you don’t know what the underlying cause of an illness is, then how can you implement a treatment regimen? " - Dr. David Brownstein, M.D. Doctor is an academic title that originates from the Latin word of the same spelling and meaning. The word is originally an agentive noun of the Latin verb docēre 'to teach'. It has been used as an academic title in Europe since the 13th century, when the first doctorates were awarded at the University of Bologna and the University of Paris. Having become established in European universities, this usage spread around the world. The doctorate (Latin: doceō, lit. 'I teach') appeared in medieval Europe as a license to teach (Latin: licentia docendi) at a medieval university. Its roots can be traced to the early church when the term "doctor" referred to the Apostles, church fathers and other Christian authorities who taught and interpreted the Bible. The right to grant a licentia docendi was originally reserved to the church which required the applicant to pass a test, take an Oath of allegiance and pay a fee. The Third Council of the Lateran of 1179 guaranteed the access – now largely free of charge – of all able applicants, who were, however, still tested for aptitude by the ecclesiastic scholastic. This right remained a bone of contention between the church authorities and the slowly emancipating universities, but was granted by the pope to the University of Paris in 1213 where it became a universal license to teach (licentia ubiquie docendi). However, while the licentia continued to hold a higher prestige than the bachelor's degree (Baccalaureus), it was ultimately reduced to an intermediate step to the Magister and doctorate, both of which now became the exclusive qualification for teaching. The earliest doctoral degrees (theology and law) reflected the historical separation of all university study into these three fields. Over time the D.D. has gradually become less common and studies outside theology and law. The Allopathic Medicine Profession aims to usurp the title of "Doctor" to be in its exclusivity its own. Dr. Adolphe Combe, MD was a German/Swiss professor who invented the first return flow colon hydrotherapy instruments. A professor of Clinical Pediatry at the University of Lausanne (Switzerland), he was also Chief of Clinic for Children’s Diseases and President of the Swiss Pediatric Society. Which led him to create for himself special methods and procedures to deal with the “affections of the digestive tract.” To counter these “affections” he would prescribe specific diet regimens, return flow colonic hydrotherapy, certain medicines and other therapeutic means. Professor Combe approach to the problem of intestinal disorders was so widely embraced at the time that his work was translated from the German to English for immediate publication. At that time it was believed that the greatest advances made in physiological chemistry and experimental research had brought to light many indisputable facts pertaining to metabolism and the origin and action of toxins, as well as showing the relationship and interdependence of various glandular organs concerned with nutrition, their supplemental and complementary action and the effects upon the organism of their insufficiencies. In his translation, Professor Combe details the methods he adopted after many years of experimentation, including a discussion of the relative merits of the various soured milks and lactic acid ferments, and his basic theory of autointoxication. Dr. Combe refers to a triple line of defence surrounding the intestines. 1. The first line of defence is Intestinal Mucosa. 2. If it were to be circumvented, the second line of defence, the Liver, would come into action. 3. The third line of defence, is the “anti-toxic glands” or the endocrine system and its related glands – the thyroid, pituitary, adrenals, etc. – and how these three worked with the body’s autoimmune response to toxins. Intestinal toxemia, has shown by Dr Adolphe Combe, can be the root cause of many conditions. Byron Robinson, BS, MD Rush Medical College, Chicago, 1882; a noted scientific investigator in anatomy and pathology; former professor of anatomy and clinical surgery in Toledo Medical College; professor of anatomy in the Post-Graduate Medical School and Hospital, Chicago; professor of surgery in the College of Physicians and Surgeons, Chicago; former professor of gynecology and abdominal surgery in Illinois Medical College; professor of gynecology and diseases of the abdominal viscera in the Chicago College of Medicine and Surgery; member of the Illinois State Medical Society; author of two volumes on intestinal surgery, four volumes on gynecologic subjects, an encyclopedic treatise on the peritoneum, and an extensive 'work on "The Abdominal and Pelvic Brain". Dr. Robinson was a member of the staff of the Indianapolis Medical Journal for a number of years and was one of its most earnest and faithful collaborators. Many of the articles which were profusely illustrated, representing the results of his original research, were published for the first time in this Journal. Dr. Robinson removes was great enough to be misunderstood. Recognition came slowly and as Dr. Atkinson once said: "He was a scientist and philosopher who beat the facts on the anvil of philosophy and forged them Into living principles." In many of his scientific investigations means were provided by which established errors in medicine and surgery were corrected, and yet the members of the medical profession did not grasp them with the enthusiasm as has been the case with some others. Perhaps the man did not herald his scientific facts with sufficient bombastic flourish. At a meeting last year held at Valparaiso University the degree of M.D. was conferred upon Dr. Robinson; and at the same time a bust of him was unveiled which was the gift of his students from various sections of the country. In an address at this time, by the author heretofore quoted, we find an expression which indicates how gingerly philosophical truths are sometimes accepted. Medical science in common with the rest of the World does not take kindly to its philosophers until their philosophy has become a concrete part of the rest of its knowledge. The views of Dr. T. J. Atkinson which we used a year ago will bear repetition. "But among right-thinking men this man, who has fought so long, single handed, a battle against irrational surgery, backing up every inch of his way with the unanswerable logic of his scalpel and his pen, is at last coming into his own, and the principles for which he has stood are surely and triumphantly winning out. "His contributions to anatomy are many and important, and have become an integral part of medical science. His teachings and work in abdominal surgery have changed the entire face of that subject. His influence has not yet reached its fullness — it has only just begun. He is essentially a man of the future — a prophetic spirit ahead of his time. As Nicholas Senn well said of him, “The impression conveyed by Byron Robinson's works it that they will yield more and more material the more carefully they are studied in succeeding decades." Graduates from Volksmed School of Health and Pharmacology having obtained the School Private Title of “Dr”, “a doctor” or similar, should take care not to imply that they hold a general “medical” qualification in case they do not. The title of “Doctor of Health in Emunctology” aren't medical doctors and aren't registered with the General Medical Council, and don't practice Allopathic Medicine. Thus the following information should be written in every letter and in every individual web page, this is in every page of the Practitioner webpage. This to avoid at all cost any confusion. Please Note: A Doctor of Health in Emunctology aren't medical doctors, and aren't registered with the General Medical Council, and don't practice Allopathic Medicine.